An anemometer measures wind speed and making a DIY anemometer out of cups is a great school science project. In this article, we’re going to give you a step by step guide for how to make an anemometer with cups and straws and answer some questions you might have. Step 1 – Use the sharpened pencil to poke a hole in the bottom of one of your dixie cups or another type of paper cup if you’re using easter egg cups for your DIY anemometer. Then use your hole-punch to punch two sets of 2 holes (four holes total) so that each hole is perpendicular to another hole. 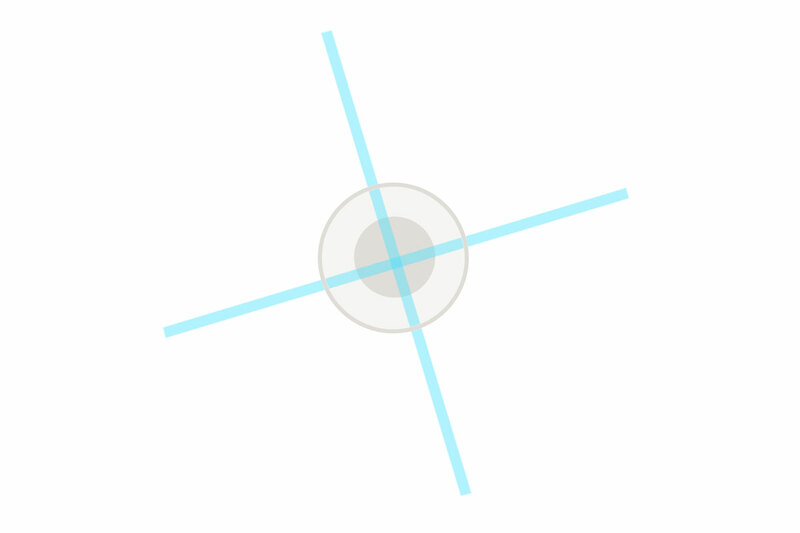 One set of holes should be closer to the top rim of the cup, and the other set of aligned holes should be lower down. 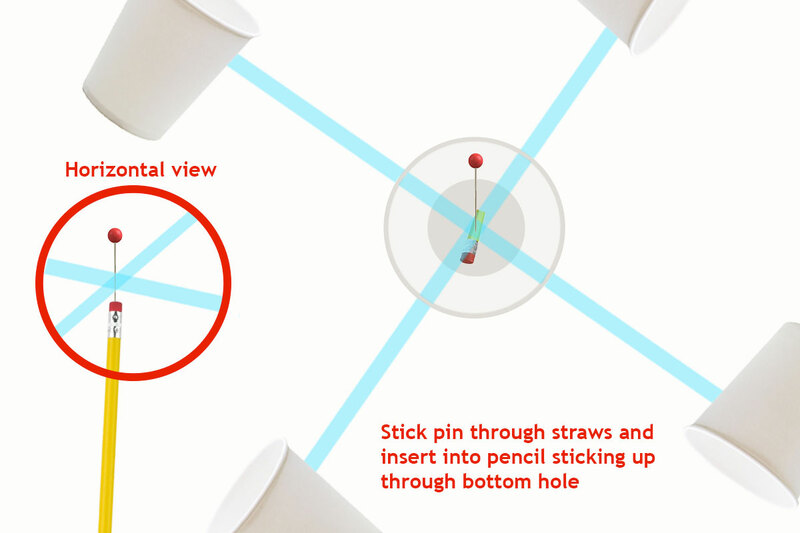 Step 2 – Insert the straws into the holes through the cup so they make an X when you look down at the cup from above. Step 3 – Punch one hole into the sides of all four other dixie cups. 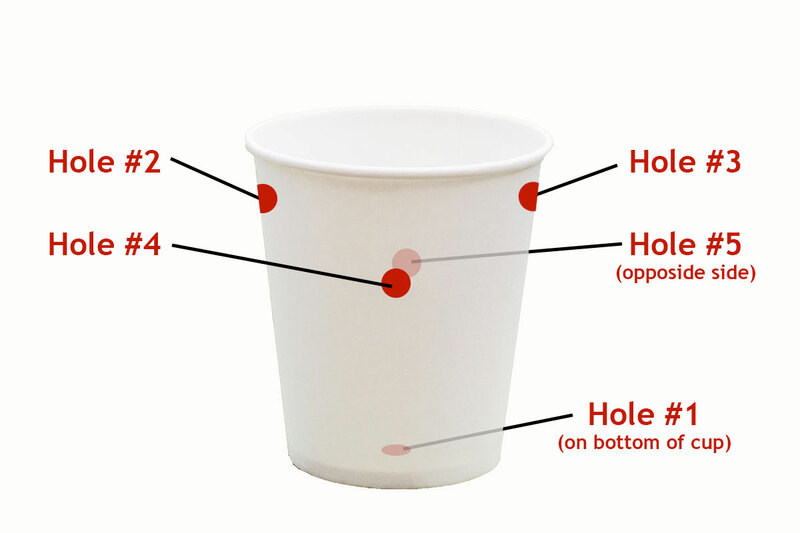 Make sure each hole is roughly in the same spot on the cup. Step 4 – Thread all four ends of the two straws through the holes in your four dixie cups. 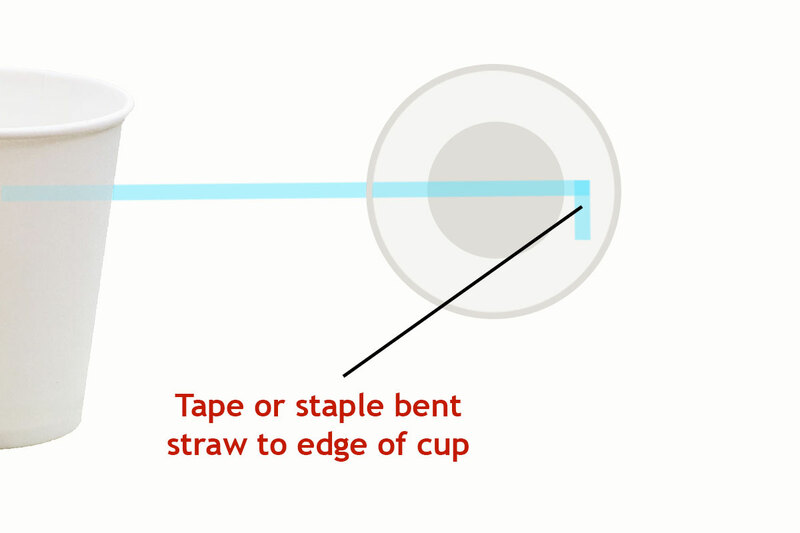 Bend the edge of the straw so you can tape or staple it to the other end of the cup. Step 6 – The cups should twirl in the air easily. To finish your anemometer, place the pencil into your empty plastic soda bottle for a base. 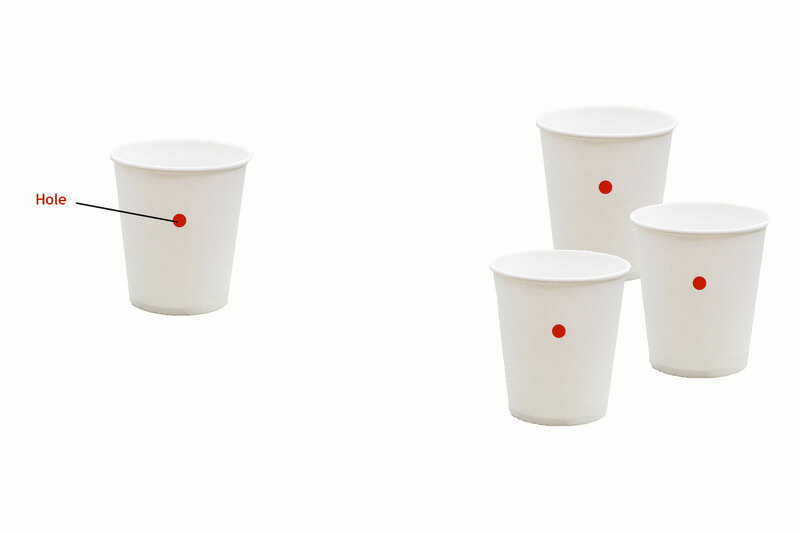 You can use stickers or a marker to make an X on one of the four rotating cups which will make counting revolutions easier (it will be obvious how many times the red dot or X has turned around). Have one person look at a stopwatch to see exactly how long ten seconds is. 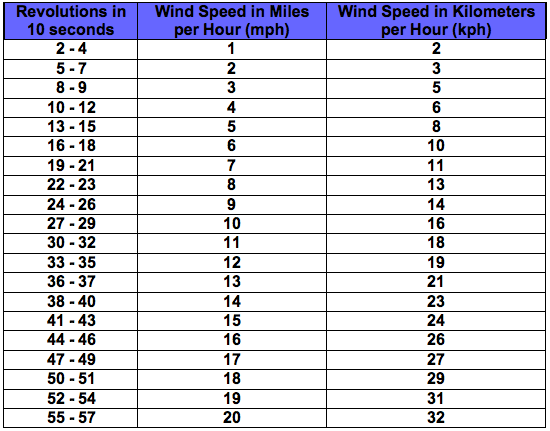 Use the following chart below to calculate roughly how fast the wind is blowing. Alternatively you can “calibrate” your anemometer by driving exactly 10 miles per hour and seeing how many times your cups rotate when held out the window. However many revolutions are equivalent to wind blowing 10 miles per hour (assuming there is no additional wind blowing). Obviously you don’t want to be driving and sticking your arm out the window counting anemometer cup revolutions so you’ll need two people for this step. Several educational products are available if you don’t want to built an anemometer from paper cups. Here is an assortment of anemometer kits that you may find useful in your classroom. Click on an image to open the product in a new tab/window and check the price of these weather anemometer kits. Of course if you’re reading this article because you’re interested in how to make anemometer for science project, you’re probably going to have to make one yourself using the DIY method outlined above instead of using a ready-built kit like these. Cup anemometers are used by professionals to gauge wind speed. Normally anemometers will have built in computers that calculate how many revolutions they make per minute (or every 10 seconds or every 30 seconds, depending on how the computer is set up). The number of times that the wind pushes the cups around in a circle is then translated into the wind speed by the anemometer’s calculator into a unit like miles per hour, meters per second or whatever unit is desired. The more times the cups turn around in a circle, the faster the wind is blowing. What is the difference between a 3 cup anemometer and a 4 cup anemometer? Three cup anemometers are similar to four cup anemometers, they just simply have one less wind cup. For the purposes of this article about how to make an easy anemometer, we’re making a four cup model since that’s easier to make. Four cup models are also more common these days than 3 cup or 2 cup anemometers. What is the cup anemometer working principle? Cup anemometers feature a rotating array of wind cups that rotate as the wind blows. The faster the wind is blowing, the faster the cups will rotate. By measuring the number of cup rotations within a period of time (for instance within 30 seconds), we can calculate how fast the wind is blowing. What other types of anemometers are there besides cup anemometers? While this article is about how to make a kid friendly anemometer out of cups, there are several other types of wind guage instruments. Some examples include: hot wire anemometers (which measure how quickly a heated wire cools down in the breeze), ultrasonic anemometers (which transmit a sound signal to a reciever, measuring wind speed off of how long it takes to send it), and vane anemometers (which work on the cup principle but instead of rotating cups they have flat blades like a fan). Watch the “how to make anemometer video” at the top of this article for more information about how to build an anemometer out of cups for a school project. I don’t want to use dixie cups, what else can I use for my homemade DIY anemometer cups? You can also browse some professional anemometer cups for sale. Anemometer An anemometer is a device that measures the speed of the wind. Anemometers are used by many professionals who work in the wind energy field as well as meteorologists/weather scientists, hobbyists and others. Different anemometers measure wind speed differently, depending on how they’re designed. Cup anemometer A cup anemometer is a specific type of anemometer that measure wind speed by counting the number of rotations that a set of cups makes when the wind blows. Cup anemometers can be manual like the types of cup anemometers made of paper cups for science projects, or they can be electronic. Sophisticated cup anemometers can calculate the wind speed in units like miles per hour, meters per second or Knots (a naval unit of measurement for sailing). Simply put, the cup anemometer definition is: a wind speed gauge that uses rotating cups to measure wind speed. Wind energy Wind energy is power created by the wind blowing. Windmill A windmill harvests the power of the wind and translates it into energy. Early windmills pumped water or milled grains but today modern wind turbines generate electricity. Wind farm A wind farm is an array of wind turbines in a windy area that all work together to harvest a large amount of wind power. Wind/weather vane A weather vane or wind vane is a flat instrument which rotates. Depending on which direction it’s pointing, it will tell you which direction the wind is blowing in. What is the Best Wireless Anemometer & Wireless Wind Speed Meter?